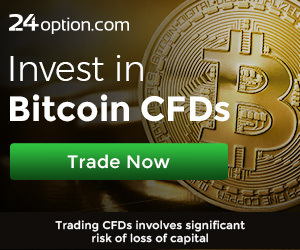 In the recent years the forex market reached its maturity, a fact that can be easily observed by the high number of forex brokers available online and the wide offer of products which can be traded. 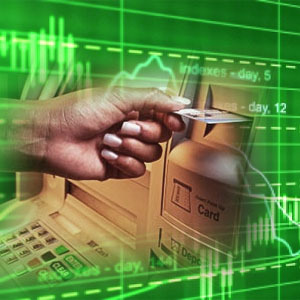 Another sign of maturity and progress for the forex brokers is the recently introduced forex debit cards. A forex debit card consists in a debit card connected to the trading account, which can be used for deposits and withdrawals. The biggest advantage of a debit card attached to your forex trading account is that you have quick access to your winnings. Imagine that if your trade closes in the morning, by the end of the day you could be in front of an ATM withdrawing your winnings. You can also use the debit card to pay your shopping at stores anywhere in the world or online. For many traders, adding a forex debit card to their wallet is a good way to show their trading success. Cashing out your winnings with the debit card proves to anyone that your money in the forex trading account is really there and you can access them instantly. No need to request cash outs and then wait days for the money to show in your bank account. With the debit card the money will be there faster, ready to be used. Only just a few brokers feature a debit card associated with the trading account and the best ones are XM and Hot Forex. XM is one of the best forex brokers currently operating in the online environment. Owned by Trading Point Holdings Ltd, XM is licensed by CySec and regulated by ASIC (Australia), FSP (New Zealand) and FCA (FSA, UK). Launched in 2012, XM trading platform offers direct access to the financial markets through more than 100 financial instruments including forex, precious metals, equity indices, and energies. The trading starts from as little as $5 USD, there is no upper limit in deposits and the trades are executed 100% with 99.35% of them in under 1 second. The XM debit card is offered in partnership with MasterCard so you can use it anywhere and anytime you wish because millions of retailers and ATMs around the world accept MasterCard. You only need to look for the MasterCard logo. If you see it, it means that you can use your forex debit card. 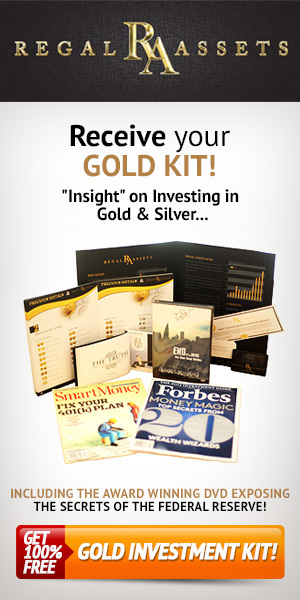 Once you make a deposit with the XM Card you can withdraw those funds and the profits you make to the same card. Your withdrawal request will be processed and the money will be available on your card within 24 hours and more than that, with no added fees or commissions. The minimum withdrawal amount is only 5 USD. The card is issued and dispatched in 3 to 5 working days and it takes up to 4 working weeks to be delivered, depending on your country and the delivering method you have requested. The delivery with the normal post is free of charge and it usually takes 10 working days to reach you. If you want to receive your XM Card earlier you can choose to be delivered by courier within 5 days but it will cost you 20 EUR or the currency equivalent. Another broker featuring debit cards is Hot Forex, a member of Bourse Africa which is the first international multi-asset class exchange from Mauritius. Hot Forex has a Category 1 Global Business License issued by the Financial Services Commission (FSC) of the Republic of Mauritius since 2010. 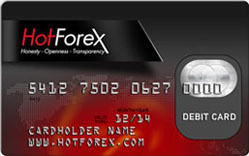 The Hot Forex Debit Card is issued in partnership with Payoneer which is a provider for MasterCard so it can be used to withdraw cash at any ATM worldwide showing the MasterCard logo. You can also use it at any point of sale location accepting credit and debit cards to make purchases, or you can use it for online acquisitions. With the Payoneer debit card, you can make withdrawals directly from your HotForex Trading account within 24 hours of the request, so it’s very fast and easy to use. The same card can be used to make deposits in the trading account. The minimum withdrawal amount for Hot Forex Payoneer Debit Card is 20 USD while the maximum is 5000 USD. There are some activation, maintenance and ATM withdrawal fees so you should check them up on the broker’s site before claiming your free Hot Forex Payoneer Card.